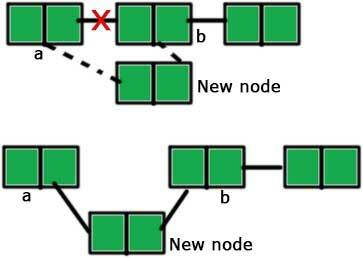 tmp->next=head – In this line, we have followed the second step which is to point the ‘next’ of the new node to the head of the linked list. We have already dealt with this in the first post with the ‘add_node’ function. I am just mentioning the ‘add_node’ function here again. 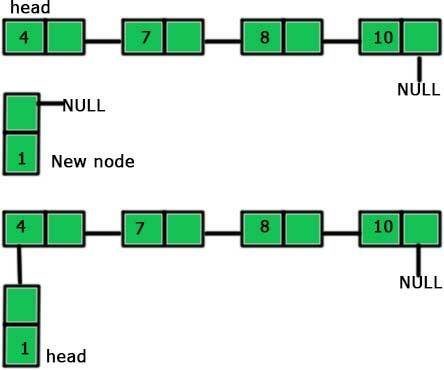 You can read the explanation of the above code in the first post of linked list. node* p = new node; – We are creating a new node. a->next = p – We are pointing the ‘next’ of ‘a’ to the new node.